﻿ There’s always been at lot to unpack about Manchester Orchestra, the Georgia indie-rockers beloved by critics but ultimately ignored by the general populace. That’s hardly a shock really, simply for the fact that there is so much here, driven by talismanic frontman Andy Hull and his frequently to-the-bone on love, religion and death. And yet, for 2014’s Cope, much of that incisiveness and nuance was left behind for an album which Hull himself described “black and red the whole time”, and though it was far from a failure, there was no way of telling where Manchester Orchestra would take themselves next. And after Hull and guitarist Robert McDowell conformed to those very expectations by providing the soundtrack for Paul Dano and Daniel Radcliffe’s Swiss Army Man, we now have fifth full-length A Black Mile To The Surface, originally telling the story of two arguing brothers in the mining town of Lead, South Dakota, before that idea was eventually scrapped. That’s an import detail to leave in too, as it’s analogous to the listening experience of this album as a whole, something that’s initially clear-cut, but evolves and expands over time into something far more grand and potent. With A Black Mile To The Surface, it’s an indie-rock album driven by a phenomenal sense of dynamics, but even that does do justice to the multiple subcutaneous layers that Hull’s writing has. It’s definitely an imposing album, but break through to a suitable degree and A Black Mile To The Surface is a monumentally powerful listen that only offers more each subsequent time. Even when sticking to a purely surface listen though, it’s easy to be taken aback by just how well-driven this album can be. There’s a clear loud / soft dynamic from song to song, and though the transitions can very occasionally be clumsy, Manchester Orchestra are canny enough musicians to know how to make the most of a style when they hit it. Guitars on The Moth and The Wolf morph into a rumbling cloud with touches of electronic assistance drawing the outlines, with thick layers of echo piled on Hull’s vocals for extra swell. Conversely, there’s a track like The Parts, with Hull at his most frail and on the verge of shattering completely, backed by tiny guitar fragments that are barely audible a lot of time to keep the frontman as the sole focus. The shift can be unsubtle – the heavy lumber of The Mistake into The Parts hits with an audible thud – but in terms of picking up on emotions of different magnitudes, Manchester Orchestra are just as good at swinging for the rafters as they are at reining it in for a quiet, tender moment. It helps that modulation is a big part of the band’s wheelhouse, as it only serves to increase the already immense weight that A Black Mile To The Surface already has. For an album that touches on heartbreak, self-doubt and even abuse, restraint is the key asset in getting as much mileage out of these topics as possible. With tracks like The Alien and The Silence which favour a slow-burning, tense unfurling – coupled with Hull’s willowy, nasal range – the delayed approach offers an exponentially more satisfying payoff compared to a track like The Sunshine, which can’t even reach two minutes and feels basically unfinished. 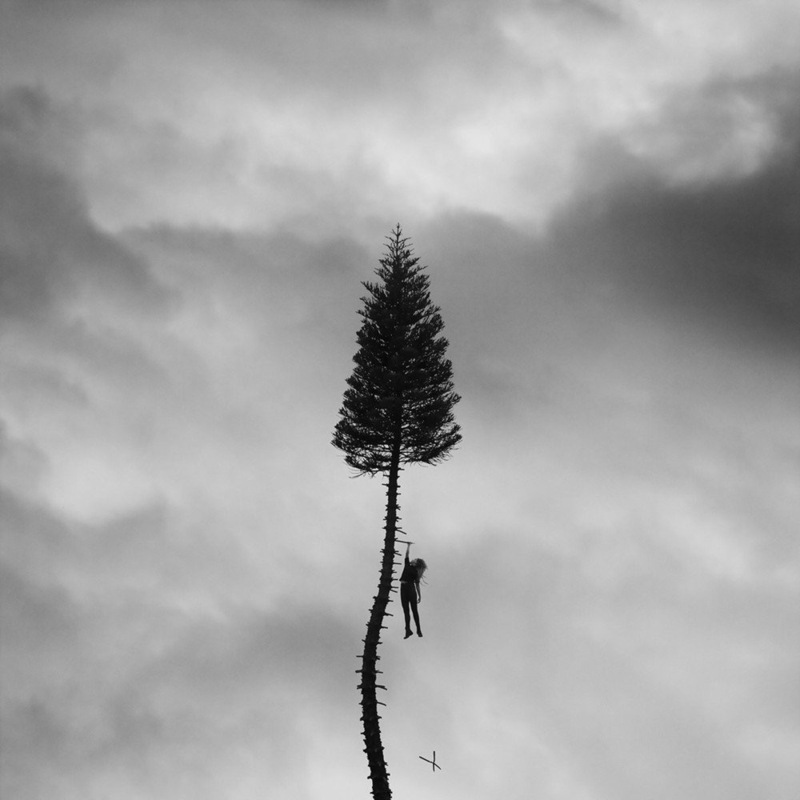 Putting that aside, A Black Mile To The Surface has exactly the sort of weight and pathos that this sort of album needs, enough to really convey a realistic level of pain and inner heft without sounding at all mawkish. For a band like Manchester Orchestra who have made this sort of thing their modus operandi from day one, that mightn’t seem like much of an accomplishment, but this is that honed to its finest point, and being all the more brilliant for it. It’s certainly possible to feel that black mile after enough listens, but powering through it is so worthwhile in the end. ‘A Black Mile To The Surface’ by Manchester Orchestra is out now on Loma Vista Recordings.